Victims have reported receiving a telephone call from someone identifying himself or herself as an IRS agent. 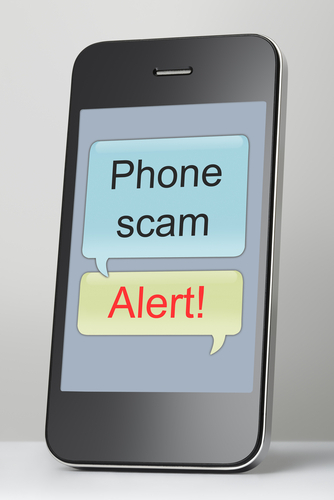 In some cases a victim’s caller ID appears as if the call is coming from the IRS, and the scammer even provides a false IRS badge number. Often the scammer will know the last four digits of the victim’s Social Security number, an indication of identity theft. The fake IRS agent claims that the individual owes back taxes and is in danger of being arrested, losing their driver’s license, or having their business shut down. Recent immigrants also report that they have been threatened with deportation. The “agent” demands that the taxes be paid via a pre-paid debit card or wire transfer. Other criminals are using similar false identities in e-mail scams. The IRS almost never makes initial contact about unpaid taxes over the telephone or using e-mail. They almost always use the U.S. mail. The IRS will also not require payment be made with a debit card or by wire transfer, and will not ask for credit card information over the phone or in an e-mail. If you receive a call or e-mail like this do not provide any personal or financial information over the telephone or on-line. If you do own federal taxes, or think you might owe taxes, hang up and call the IRS at 800-829-1040. Legitimate IRS staffers can answer your payment questions. If you don’t owe taxes, hang up and report the incident to the Treasury Inspector General for Tax Administration by calling 800-366-4484. For e-mail scams, forward the suspicious e-mail to phishing@irs.gov for investigation. Never open any attachments or click on any links in those e-mails. You can also file a complaint with the Federal Trade Commission on-line at www.FTC.gov. Be sure to include “IRS Telephone Scam” as part of your complaint. Unscrupulous scammers are using more and more sophisticated techniques to steal and defraud individuals and businesses. It is up to each of us to be alert for and aware of suspicious requests and demands. This entry was posted in IRS. Bookmark the permalink. I have received three calls from the supposed IRS. I knew it was a scam and hung up on them. They have decided east Indian accents, some so heavy you cannot understand what they are saying. I think the FBI should be involved too. The calls seem to originate from California though that is just the area codes; the calls could be coming from anywhere.